The Natural Luxury Comfort mattress has 1450 pocket springs with a supersoft layer of lambswool. Together providing you with a mattress that will give you all the support and comfort you need for a perfects night`s sleep. The 1450 pocket springs are independent from each other and give individual support to each part of your body. They also help to prevent any roll together or any disturbance on one side of the bed affecting a person sleeping on the other side of the bed. The super soft reflex foam moulds to the individual weight and size of the person sleeping on it and therefore it gives individual support to each person sharing the bed. There are, in addition, soft white fibres to enhance the comfort giving the mattress an luxurious feel. The mattress is finished in a Belgium White Damask Ticking with hand tufted felt tufts to keep the mattress in perfect shape. 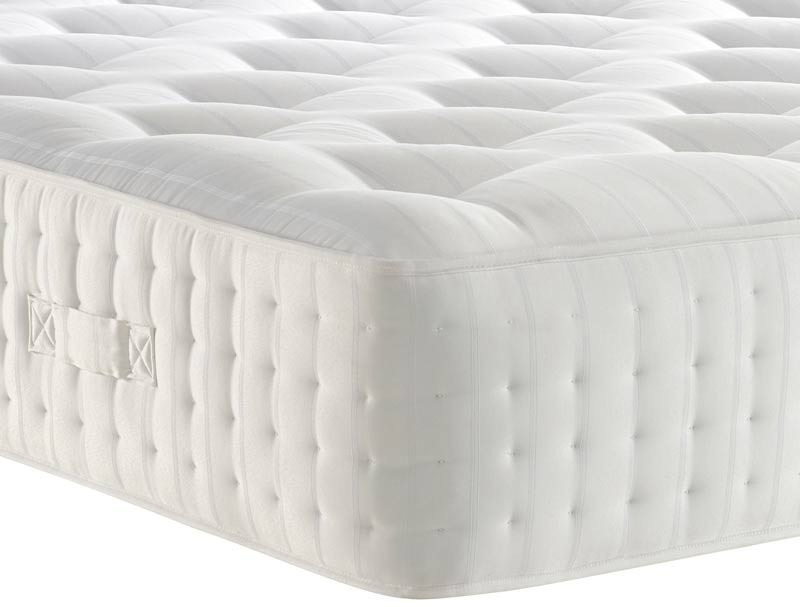 The Natural Luxury mattress is non-turn and has 4 rows of side stitching. There are handles attached to the side of the mattress together with air vents to keep the mattress fresh.